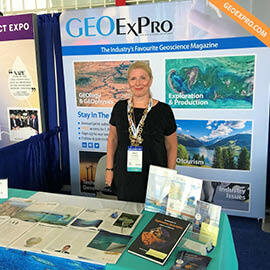 GEO ExPro Oil & Gas Conference Round-Ups: Unconventional Resource Technology Conference 2018, Houston, USA. Fuelled by SPE | AAPG | SEG. 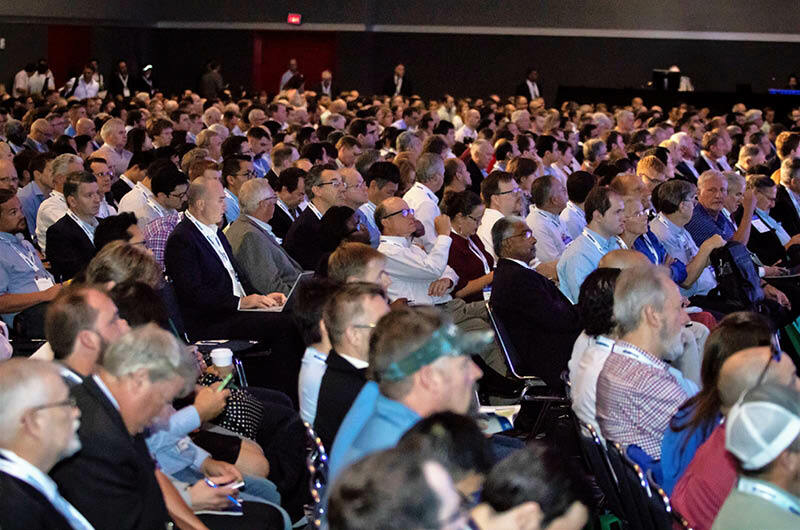 The 6th Unconventional Resources Technology Conference, commonly known as URTeC, was held in the George R Brown Convention Center in Houston, Texas, on the 23-25 July this year. This integrated annual event is aimed at unconventional resources teams and is organized by AAPG, SEG and SPE as a global collaboration by 12 of the world’s leading geoscience and engineering professional societies, which together represent the complete spectrum of unconventional play development. Image credit: AAPG. Steve Winberg, Assistant Secretary for the United States Department of Energy , Department of Fossil Fuels opened the Plenary Session of the conference with a talk he called ‘The Shale Revolution – Getting Down to Business’, which ably demonstrated that in the six years since the first conference, so-called ‘unconventional’ resources have moved into the mainstream. This was followed by an interesting take on this movement from Vicki A. Hollub, President and CEO for Occidental Petroleum Corporation, whose presentation ‘Re-Invent, Re-tool, Re-imagine: Finding Success in the Resources Arena’, discussed how to turn a business with a historical conventional/EOR position into a successful unconventional player, in order to meet the challenges of the energy industry and society as a whole. Also in the opening session was Scott W Tinker from the Bureau of Economic Geology – a great speaker who is always worth listening to – whose presentation on ‘Enigmatic Shale’ looked at how, even though the North American economy has benefited significantly from shale production, shale reservoirs remain enigmatic. He talked about how economic shale resources actually are, how much can be recovered, and how the complex politics involved make it difficult to predict the global future of shale. The interesting panel discussion which followed elaborated on these contradictions and also looked at what the investment community expect from the unconventional sector. 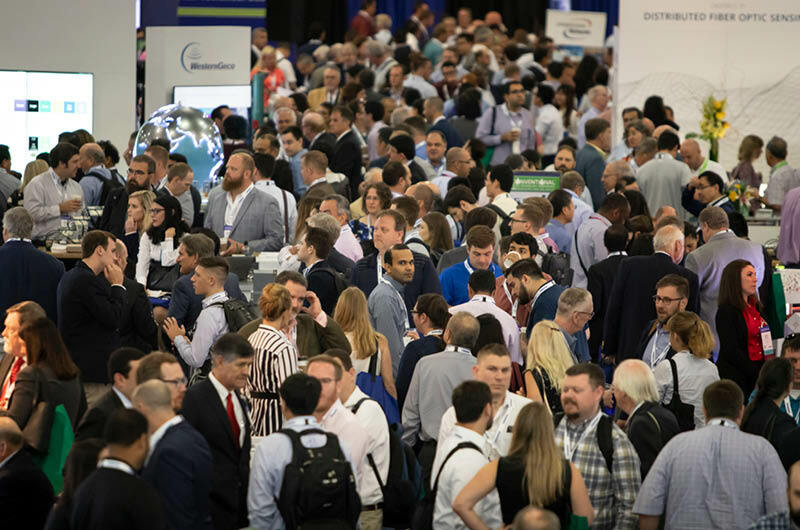 The aisles and exhibit booths were packed throughout the entire conference, breaking the record number of attendees set in 2014 by 20%. Photo credit: AAPG. The upswing in the oil price and thus the industry seen since the 2017 conference, when the price of Brent crude was just over $50 but just beginning its gradual rise, was reflected in visitor numbers. Last year’s figure of 3,700 delegates was significantly higher this year, with nearly 6,000 attendees - a 20% increase on the previous record set in 2014. There was a similar increase in the number of exhibitors taking stands, well up from last year’s 150 companies. The sentiment on the exhibition floor was very positive, with the aisles on the exhibition floor packed several times each day, so the sheer volume of people speaks for itself. I talked to many very enthusiastic and happy exhibitors who said they had met significant numbers of interested potential clients who showed a thirst for learning about their technologies. Some said that in general they were extremely busy but were now also looking forward to seeing that activity translated to an increase in earnings. Others, however, were a little more cautious; even though they felt encouraged by the busy conference, and said they hoped all this optimism would translate into better sales and larger budgets, they felt there were still some tough times ahead. One company making quite a splash on the floor was Fairfield Geotechnologies (formally Fairfield Nodal) who were keen to get their new name noted by attendees to the event. 1,200 delegates fill the seats for the Opening Plenary Session at URTeC 2018, with 300 standing! Photo credit: AAPG. Many interesting new technologies were being demonstrated on the exhibition floor, and this was reflected in the technical sessions, where there was a lot of talk about all the invention that had taken place during the downturn. At the same time there was an overall realisation that, along with this technical development, there is also a need to look more at the subsurface and focus on understanding the rocks. In addition to the introductory session, there were panel discussions covering subjects such as induced seismic; the impact of early depletion; leveraging research undertaken at universities and government laboratories into the industry; and, following the general atmosphere, a session looking at the technologies which the panellists (all senior technology leaders) expected to make a difference in unconventional E&P. The technical talks were split into 13 different themes, ranging from technical ones such as geomechanics in unconventionals and the very pertinent novel and emerging technologies, as well as more theoretical ones like stakeholder management and reserves estimation, and production forecasting. There was also a series of short courses and, as always, plenty of networking opportunities, from topical breakfast talks to evening receptions. From the exhibitor’s point of view, three of the technical sessions were held in rooms off the exhibition floor, which is a great way to ensure delegates visit the exhibition. New this year on the exhibition floor was the U-Pitch Pavilion ‘Invent and Invest’, where new companies and entrepreneurs could demonstrate their innovative ideas and pitch them to prospective investors and partners. There were many exciting presentations on topics ranging from new technologies and tools to analytics and data sources and it looked to me to be a big success, as there were always many people in the audience. Batelle - a soy-based frac fluid. RankMyLand - Zillow for the petroleum industry - a potentially revolutionary tool for evaluating surface, subsurface, and mineral values. Waterless Frac Technology - a powerful new approach for fracturing the formations during completions and stimulation without water. 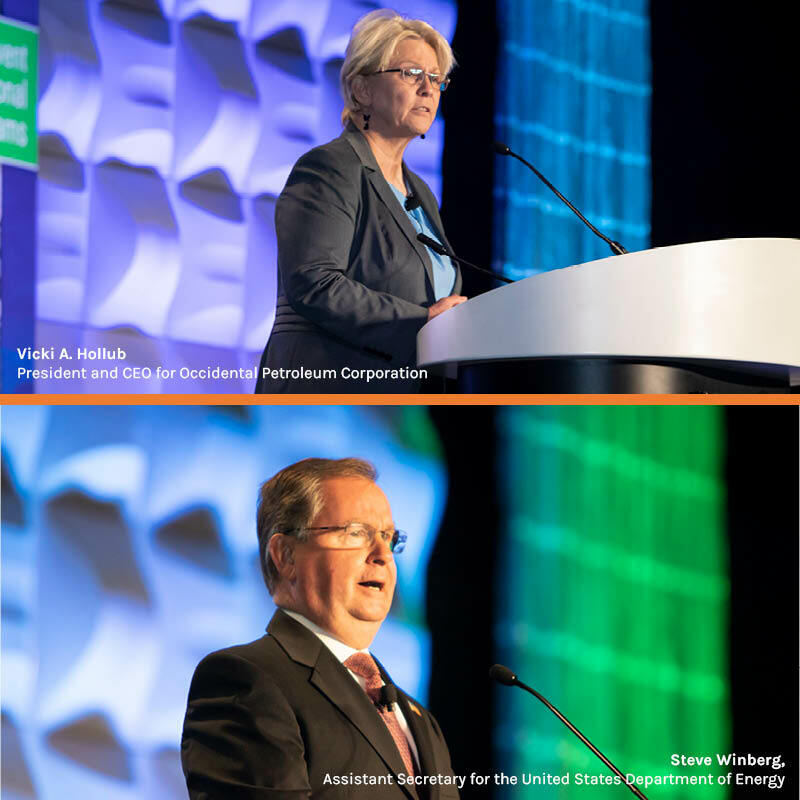 As a final comment, it was interesting to note that, while many of the people I spoke to at the conference were positive about the boom in unconventional resources and their future, they stressed that there are still many unknowns, so conferences such as URTeC have a vital ongoing role to play. GEO ExPro Oil & Gas Conference Round-Ups: SEAPEX/PESGB Asia Pacific E&P Conference “Asia-Pacific Revisited: New Ideas, New Opportunities”.